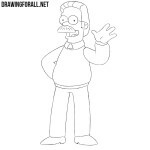 Who is the most famous and charismatic television presenter from animated series? Some will say that it’s Tom Tucker, and others that it’s Kent Brockman. Our site already has a lesson about Tom Tucker, and today we’ll show you how to draw Kent Brockman. Let’s start with the basic shape of the body. 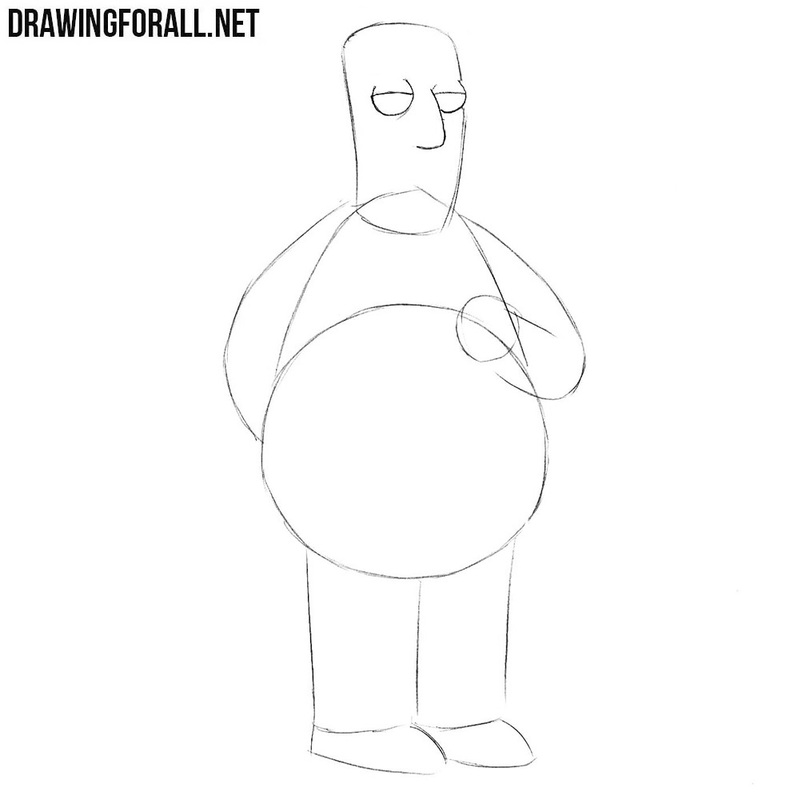 First of all sketch a belly in the form of a circle, then a chest and a neck that goes to a head. Now we sketch out the arms and legs. 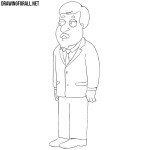 Note, that we draw Kent Brockman in a standard TV presenter position. Slowly start adding details. First draw half-closed eyes and a nose. 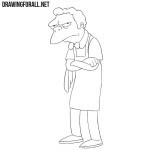 Next, draw eyebrows above the eyes, pupils and a couple of wrinkles below the eyes. 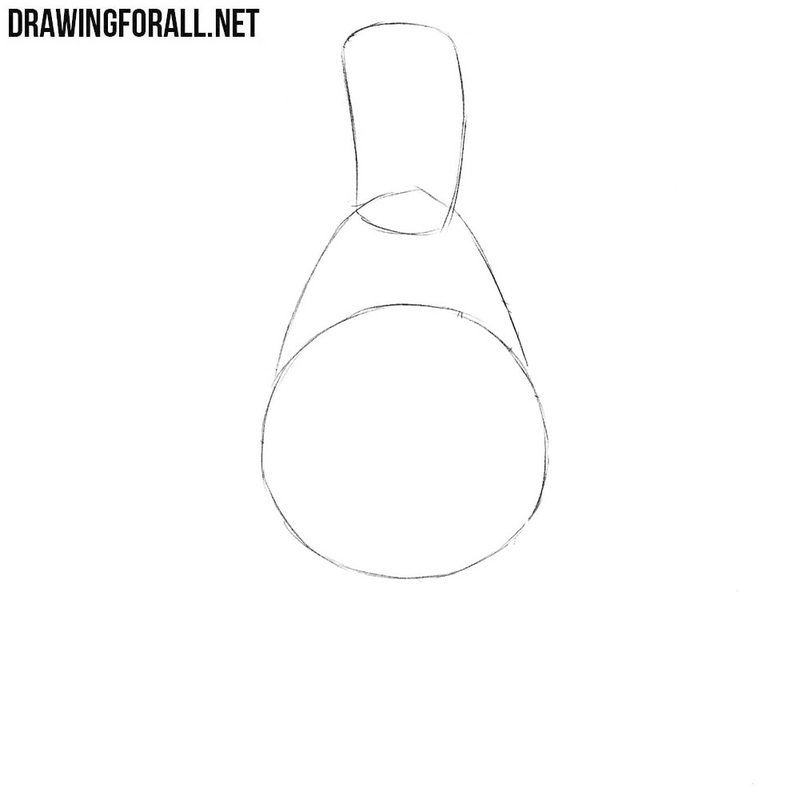 Now move a little higher and draw out the outlines of the hair and ear. Finish the face drawing the neck and outlines of the Hollywood smile of Kent Brockman. Move a little lower and draw out the front hand and a microphone in it. Now draw the outlines of the shoulders, the tie, the collars of the jacket and the shirt. 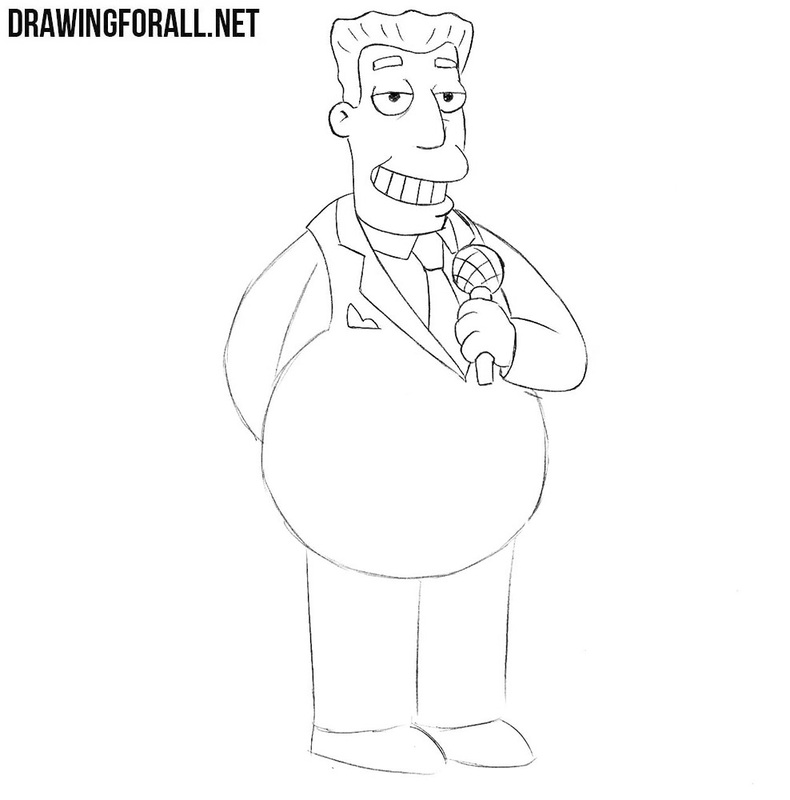 Finish the torso of Kent Brockman drawing the outlines of the jacket and the second arm. 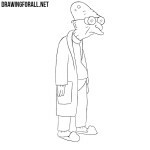 A very simple step in which we need to draw pants with a few simple lines. And one more extremely simple step in which we draw shoes of Kent Brockman. If you are not confused in the process of drawing, and exactly repeated our steps, now you know how to draw Kent Brockman. 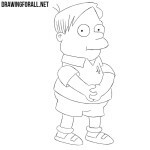 If you want to learn how to draw other characters from the Simpsons, then visit the “Cartoons” category on our website.